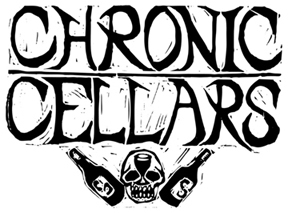 The concept of Chronic Cellars came about in the midst of harvest in 2004. Josh and Jay Beckett had used the term “The Chronic” to describe likable objects before, but had never considered it a suitable descriptor for wine. They sat alongside the crush pad one evening in their wine stained clothes and wet boots laughing about the idea of a wine that targeted a casual lifestyle. After a decade each of immersing themselves in all aspects of the wine industry they decided to do their own project. They wanted to try something new and put the tools they have gathered to work on their dream. They had a vision and a desire to make their statement in the wine industry that they could not deny. After four years they took our first step toward Chronic Cellars.